Precise, quick and efficient; threading is globally recognized as the most superior form of hair removal. This ancient technique was originated in the Middle East and is conducted by simply using thread and the slightest bit of tension from the hand, while using a twisted motion to grasp the hair in a mini lasso. 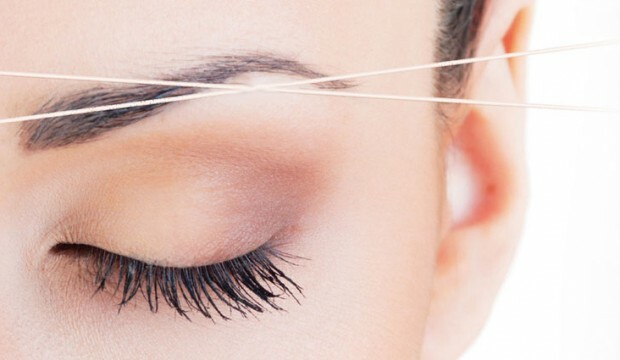 Threading removes all hairs straight from the follicle (including those tiny, stubborn hairs! ), leaving you with sharp, clean, defined and naturally shaped brows! ‘Threading’ hair removal is on the increase and is now very popular for facial hair removal both at home and in clinics. Threading can be used on all skin types and hair colours and is even appropriate for sensitive skins. It tends to be used only for facial hair however whereas laser hair removal can be performed anywhere on the body. Whilst it is possible to perform threading at home, some people may find it more difficult than waxing or tweezing as it requires mastering a specific technique which some people may find difficult or fiddly. The threading method involves using a piece of thin cotton thread which is twisted tightly and moved backwards and forwards in order to pull hairs out at the root. When done correctly it can be a very precise method of hair removal making it very suitable for shaping eyebrows for instance. The main advantages of threading hair removal are that it is cheap, low risk and comfortable compared to waxing and tweezing. The main disadvantage however is that like all non-laser methods of hair removal, it isn’t permanent. You can expect to remain hair free for as long as you would do if waxing or tweezing. It also doesn’t tend to be an option for hair removal on the body. With rhythmic, almost hypnotic movement, the unwanted hairs are secured in the thread and lifted from the follicle with precision and finesse. 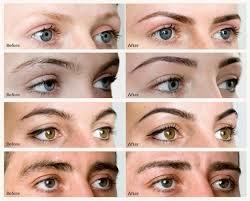 Many of our customers agree that threading causes less discomfort than brow waxing. Because it targets individual hairs, threading keeps skin irritation to a minimum. Excessive pulling on delicate skin around the eyes is eliminated, and for those sensitive to waxing or depilatory products, there is no exposure to irritants. Safe. Pain Free. Hair Free. A piece of sterile, thin, twisted cotton thread is rolled over unwanted hair (like eyebrows, upper-lip or anywhere you desire epilation) in a twisting motion trapping hair in a mini lasso that lifts hair right out of the follicle. Unlike tweezing where a single hair is pulled out each time, threading can remove an entire row of hair, resulting in a much straighter and dramatic line. Unlike waxing there is absolutely no damage or stress to the skin making this the preferred method of epilation for anyone concerned about the aging process or those who suffer from sensitive, acne, rosacea or other irritation related skin conditions exists. What are the benefits of Eyebrows Threading? • While waxing targets larger patches of hair, threading goes row by row to catch any wayward hairs and give you a more precise eyebrow shaping. 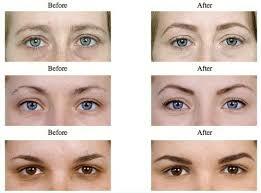 • Threading is a fast process—a single session can be completed in as little as 15 minutes. • Threading is the preferable option for people with sensitive skin for people who are taking medication for various skin conditions because threading is gentler on the skin than other forms of hair removal. • Because threading makes less direct contact with the skin, many clients say that it is less painful than waxing or plucking. Although there may be some slight discomfort the first time, our customers have told us that they thought waxing hurt more than eyebrow threading. If a trained professional threading artist like in Dermedix Clinic does your threading, then it should feel just like a slight sting and not a hair yank. If your first eyebrow threading experience hurt and felt like hair being yanked out of root, chances are your threader was not trained. 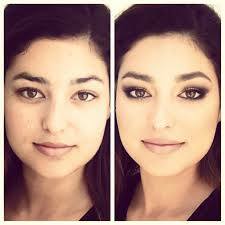 So, it is important to get your threading done by professionals that specializes in eyebrow threading. If you feel the thread on your skin, it hurts less. The farther away the thread is, the more it hurts. How long does it take for hair to grow back? How often do I need to get my brows threaded? Depending on your skin type, hair grows back within 2-3 weeks. We recommend you do your eyebrow threading every 3 weeks for optimum results. Is it normal to use scissors after threading your brows? Yes, it is normal to use scissors because our threading artists are trained to use scissors to trim your eyebrows for the final perfect shapes. Threading takes the hair out from the root while scissors will provide the perfect shapes for the remaining brow hair. If I have a party coming up, how long before the party should I thread my brows? Our recommendation is at least 1 day before your party. Especially if this is your first time for threading or it has been more than a month since you last threaded, there is a chance your skin will be red around your brow area. Generally, the redness disappears within a couple of hours but it may last for 24 hours for some people. What kind of aftercare do you recommend after eyebrow threading? Generally slathering on aloe vera gel minimizes redness and soothes your skin. You can buy aloe vera gel at any store or online. We also recommend avoiding getting sunburnt or a tan in the sun right after getting your eyebrows done. Also, it is a good idea to apply makeup after a couple of hours or after the redness has disappeared to avoid any chances of allergy or irritation.